Apollo 11 25th anniversary seal. Middle: Dr. Wernher von Braun; Mariner 10 space probe. Bottom: Apollo 11 navigator, Buzz Aldrin, on the lunar surface; Lunar mission view of earth from the moon. “The earth is uncommonly lovely. 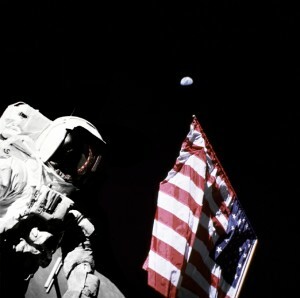 It is the only warm living object that we saw in space on our trip to the moon” (Jim Irwin, Apollo 15). his July marked another anniversary of America’s greatest technological achievement. 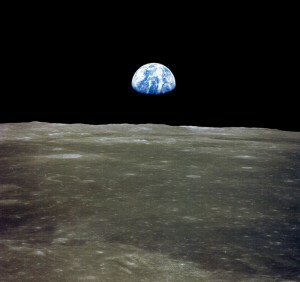 On July 20, 1969, 49 years ago, a manned spacecraft rocketed 240,000 miles out of earth’s atmosphere to land on the moon. One calculated thruster burn over the Pacific, and the three-spacecraft configuration of America’s eleventh Apollo mission coasted to, and landed, on the moon. The Apollo 11 mission was not without its technical difficulties. Twelve minutes away from the lunar surface, the Eagle landing module’s guidance computer failed, forcing a totally manual descent. Lunar Module pilot Neil Armstrong landed the craft blinded by its stirred up lunar dust with less than thirty seconds of descent fuel to spare. Five hours later, the former X-15 and Gemini test pilot stepped outside the fragile landing module to become the first of twelve Americans who would walk upon the moon. 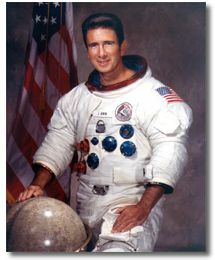 Other technical difficulties lying along man’s lunar flight path took the lives of America’s first three Apollo astronauts, Gus Grissom (famed second American in space), Roger White (first American to spacewalk), and Ed Chaffee. Despite Grissom’s many qualified criticisms of their craft’s incomplete design (he was a skilled engineer), the three suffocated to death as flames swept through their Apollo 1 capsule in January of 1967 during routine equipment checks. 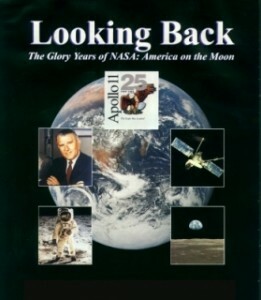 But Apollo was the official undeclared war of the United States and Russia’s epoch Cold War Space Race. And wartime deaths, few though there were, were to be expected. It was Apollo’s mission to wage the culminating battles of these two greatest military powers ever formed on earth in their struggle for its highest ground. Handed the technical baton from their Mercury, Gemini, and Apollo predecessors, Armstrong and Aldrin’s amazing lunar pictures televised 48 years ago achieved the conqueror’s end to the 12 year space epoch most of the world had watched. “Tranquility base here. The Eagle has landed.” Mankind’s greatest adventure reached its summit. The space race had a winner. America won. And there was more to the victor’s spoils than planted flags and bragger’s rights. Along the way to the race’s finish, modern space science grew in size and stature establishing American technology as preeminent on earth. The powerful rocket engines and their successive missile casings that exploded America out of earth’s atmosphere were the brainchild of German rocket scientist, Wernher von Braun. Since surrendering his Third Reich V2 rocket team to America at the end of World War II, von Braun possessed the scientific expertise and vision to put America in space first. But he was denied his continued requests to do so by President Eisenhower, who disdained the thought of former Nazi functionaries putting Americans into space. A generation earlier American rocket scientist Robert Goddard innovated many of the concepts incorporated by von Braun’s V2 team, and after Eisenhower’s election, he was hoping for a successor. The former Nazi rocket scientist worked with the Truman Administration to develop a nuclear ballistic missile. Beyond that, America had no special plans for space. But when Russia launched the first orbiting satellite in October of 1957, Eisenhower authorized and funded von Braun to produce every rocket in America’s arsenal and space program from the Redstone that carried Alan Shepard (first American into space), to the gigantic Saturn V that rocketed Apollo to the moon. NASA Langley Research Center located in Hampton,Virginia provided the burgeoning American space program with its technological base. 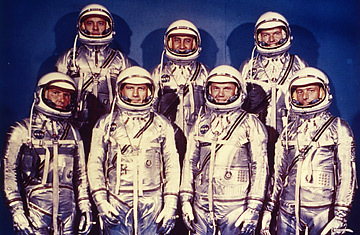 It was at Langley that the “Right Stuff” Mercury astronauts received their training giving the Space Race its first dose of fame. But there was more to these adventures than mere politics could see. There was discovery in the air, and a host of new space technicians endowed with exorbitant NASA funding to get America “up there” for a celestial look around. As soon as von Braun’s rockets would allow, America began closing Russia’s five-year race lead by blasting into earth orbit a 31 pound mini-laboratory devised to study cosmic rays. Launched on January 31, 1958, the satellite Explorer 1 measured outerspace temperatures and discovered two ring-shaped bands of radiation trapped by an earth encompassing magnetic field between 620 to 3,000 miles up. Subsequent discoveries by NASA’s Pioneer space probe program proved this belt to be the innermost area of another magnetic band 40,000 miles out that served as a shield of the earth’s thin atmospheric envelope from the Sun’s solar winds. Discoverers awed at its precise purpose and placement, named it the magnetosphere (also called it the Van Allen Belt for its chief scientific discoverer), and American space science was birthed. Earth’s closest solar system planets, Mercury, Venus, and Mars soon became prime space probe targets as a host of elaborate space gizmos emerged from NASA’s Jet Propulsion Laboratories in the early ’60s and ’70s. Culminating with the amazing Viking Mars orbiter and landing mission in 1976, NASA’s Mariner explorations of these innermost planets showed them to be rocky globes similar to earth, but possessing very alien environments. Mercury proved to have no measurable atmosphere at all, with surface temperatures ranging between 800F and -300 degrees. Venus’ poisonous atmosphere of carbon dioxide enshrouded by clouds of sulfuric acid proved to enclose constant surface lead and tin melting temperatures of 900 degrees. And Mars, though proving to possess a tilted axis and seasonal rotations similar to earth’s, exhibited a poisonous atmosphere of carbon dioxide with lifeless surface temperatures ranging between -240 and 32 degrees. The awesome wonders of earth’s outer planets, the four “gas giants” Jupiter, Saturn, Uranus, and Neptune, were sensationally revealed as rocky-cored planets overlaid by magnificently colored spheres of hydrogen, helium, and methane gas. Wowing millions with their startling space images and data since 1977, NASA’s Voyager probes brought these enchanting ringed planets into the nation’s front rooms. But as for the search for other planetary life, and it was going on, the hunt drew a resounding nil. In truth, the farther away from man’s planet observable science would search, the more humanly uninhabitable and alien it proved. “No life here,” came the answer to NASA’s extraterrestrial life inquisitors as their fact-finding quest of science bore witness to an amazing earth life design. Earth itself would become a planetary discovery as manned space flight hurled men toward the moon. In fact, the most compelling of space experiences encountered by Apollo’s chosen few was their privileged view of earth from the lifeless vacuum of space. Some were changed forever. Commander of the Apollo program’s first mission to the moon, Frank Borman, related his view of earth’s living, blue image from the extraterrestrial darkness of space as being responsible for the “final leg” of his own religious experience of encountering Jesus Christ. “Christmas Eve was like none other in the long history of celebrating that occasion. While millions of people brought families together in homes throughout the planet, the three men orbiting the moon continued taking sharp motion pictures and hundreds of clear color photographs that would later enable them to share with those on earth their fabulous adventure. The view of earth from its Creator’s tapestry of oxygenless, colorless space was an overpowering experience for America’s star voyaging spacemen. Apollo’s astronauts of missions 8 and 10 through 17 had been afforded a special vantage point. They were privileged a view of the Bible’s stated “general revelation” of God’s creation (Romans 1:20) as none had ever seen it. been made, so that men are without excuse. In fact, though not a part of NASA’s official public record, one third of Apollo’s twenty-four astronauts, eight in all, would encounter differing spiritual experiences because of their missions to the moon. The ordeal of the eight Apollo astronauts admitting spiritual enlightenments ran a gamut of experience. 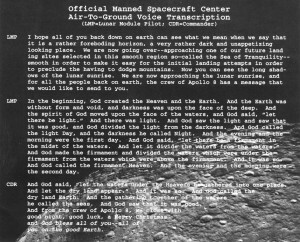 They ranged from the extemporaneous Bible readings of Apollo 8; to Apollo 15 commander David Scott’s simple action of leaving a Bible on his lunar moon rover; to Apollo 15 lunar module pilot Jim Irwin’s dramatic Christian re-dedication on the surface of the moon. Very few knew of Buz Aldrin’s private communion service held shortly after Apollo 11 touched down. Or of Apollo 14 lunar module pilot Ed Mitchell’s “space epiphany” that led him into mind science in the hope of scientifically proving the existence of God. 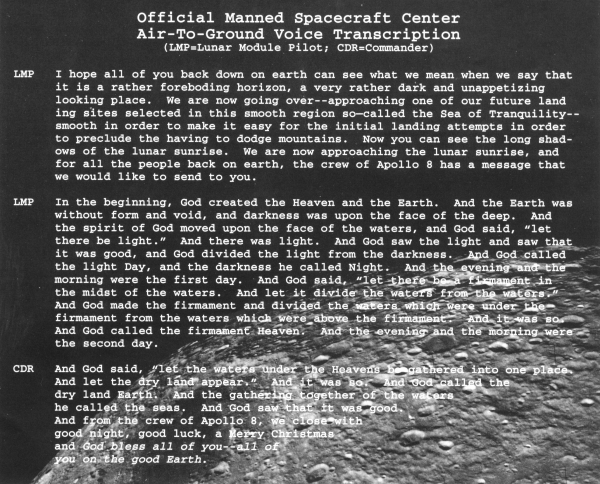 Of course the Bible that astronauts Borman, Lovell, and Anders read their 1968 Christmas Eve message from affirms the God you choose to worship does matter. The choice to worship mankind’s Creator revealed in the Bible is the most important choice men and women make during their time on earth. The Bible teaches that Jesus Christ was God incarnate and that He created mankind, our animal and aquatic co-inhabitants, the earth, heavens, sun, and moon (John 1:3). It affirms that Jesus is the only way to God through the sacrificial offering of His life (Romans 6:23). And it teaches that all men and women must accept His sacrifice to receive His life-giving Spirit to be reunited with Him (Galatians 3:13,14). The Apollo astronauts saw His handiwork. And because they did, so did we. After six successful moon missions Congress lost interest, canceling their last two scheduled moon flights in 1972. It was expensive to visit, and there wasn’t much to find there except dust and rocks. But while we were up there, Apollo really took America on some kind of ride. We took on the Soviet Union in history’s greatest race and soundly defeated them with the brains and determination of what Tom Wolfe’s epic Space Race novel would later call, “The Right Stuff”. And we did it from a distance of five years back. 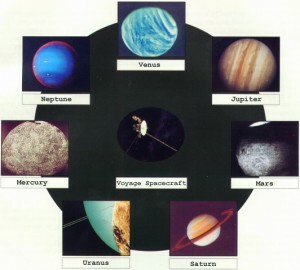 All the same, it makes one wonder, after our space probe missions that revealed the truth of our inner planets, what we were looking for up there once we planted our flag in the dust? Maybe we were up there simply for the view. The heavens declare the glory of God and their expanse declare His handiwork.